While there’s a lot to enjoy about a Canadian winter (like the sports and the holidays), there’s also a lot that needs to be taken into consideration and prepared for. Winter can be especially tough on our cars. That’s why we need to do everything we can to help prepare our vehicles for the oncoming chill. 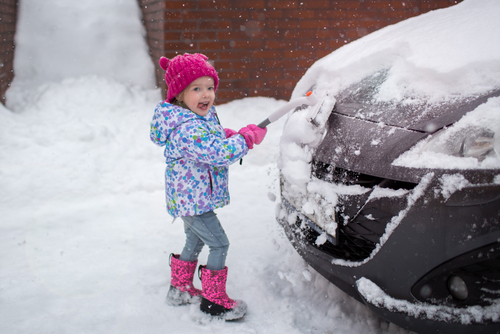 A-Protect wants to ensure that your car is running it’s best for this year’s snowy season. It’s always a safe idea to have winter tires installed. You can tell which ones are winter tires by identifying the snowflake symbol on the side of the rubber. You’ll need to make sure that the tires have a tread of at least 3.5mm, no matter the size of your vehicle. It’s also important to be sure you’re using four matched winter tires.There are so many reasons to switch to winter tires, especially if you’re driving regularly or if you drive outside of the city. They’ll provide a much better traction on ice, which can be a serious safety concern this time of year.Always ensure your tires are at the proper air pressure, which can easily decrease during the winter months. The salt on the roads can be a killer to the exterior of your car. Rust forms on your car when water and air come together to form a crust on the exterior. Due to this, you’ll want to prepare your car ahead of the season and protect it’s exterior from developing the rust caused by road salts. The best way to prevent this from happening is by having the body of your car oiled annually with a rustproofing spray. There are even automotive shops all across Ontario who specialize in rustproofing. 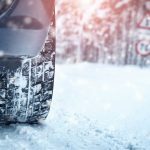 Properly lubricating certain parts of your car is an easy way to help prevent a number of ugly winter-weather related car issues. Make sure to properly lube window tracks, the hood latch, and all of your locks and door hinges. Use a spray to cover window tracks in silicone or even dry Teflon. Make sure to be prepared with silicone spray, lithium grease spray, and a Teflon lubricant spray before you begin the project of properly lubricating your car for the winter. Before winter fully arrives make sure you’ve checked that your windshield wipers are in working order. Hail, snow and all matter of slush can really harm your windshield and it’s wipers. So it’s very important that you make an effort to keep them clean as the season progresses. Your wipers are an important tool against accidents, so make sure everything works great. Also, make sure you have a windshield scraper in your trunk at all times. You never know when the first snowfall will hit, and nobody likes using their sleeve to clear their windshields and windows. The scraper itself is also an imperative tool against the formation of ice. One of our favorite toys Santa Claus can bring are remote starters. They are a great way to get your car warmed up from a safe distance, saving you time and making sure you don’t freeze while you wait. There’s a good range of remote starters on the market, and none of them are really going to set you back that much more than a couple hundred bucks. 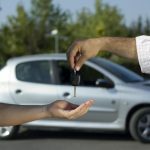 Another great thing about remote starters is that they are the perfect holiday present for anyone who has a car. Amazon has a pretty impressive selection of remote starters to choose from! While there are plenty of ways to get your vehicle ready for winter, these are our five favorite! So follow A-Protect’s above list to prepare your car for the winter. You’ll definitely appreciate it once the snow starts to hit the asphalt. 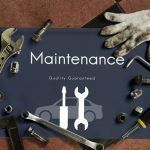 Protect your tires, oil your exterior, keep your windshield in working order and even consider investing in remote car starter. A-Protect is Ontario’s premier warranty service for your automobile or motorcycle. With the best coverage and Ontario’s most competitive rates, there’s no reason not to call.